Recorded at The Steady (Track Could Bend #30), September 5, 2017. In between co-ordinating a re-mount of Pauline Oliveros' "To Valerie Solanas..." and becoming artist-in-residence at the beautiful new Scarborough Centre public library, Chris Willes was kind enough to drop in to make some sounds at TCB. 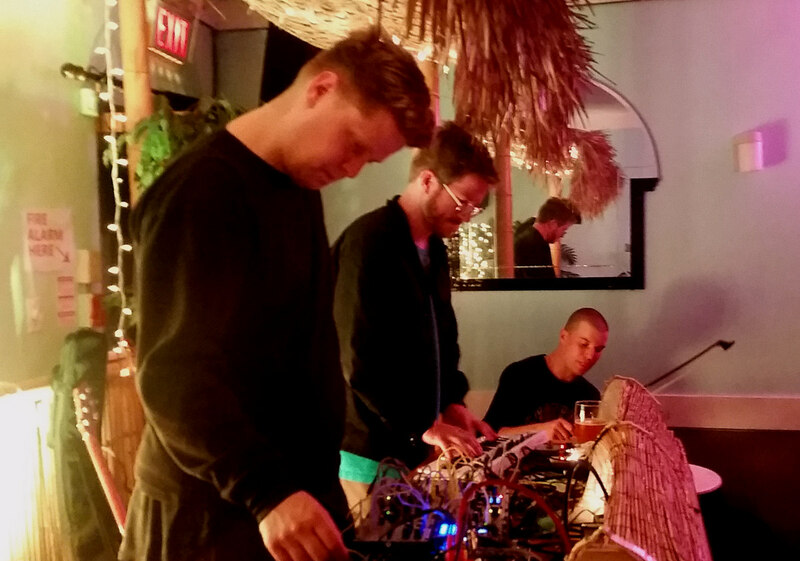 One could easily imagine a group composed of him, Thom Gill and Phil Melanson creating some slinky dancefloor grooves that would be fall right into the sensibility their chosen moniker might suggest. 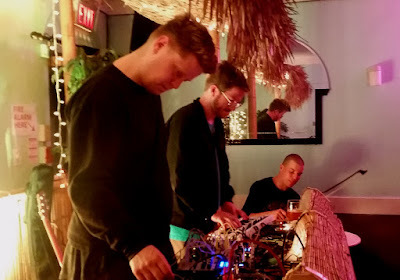 For this night, however, they instead got jiggy with some field recordings and gentle synth/guitar/percussion rubbings. Actually, one could quite easily also imagine these three doing precisely that.